Use Original Sole Shoe Red Heart Grips on any coloured shoe soles. 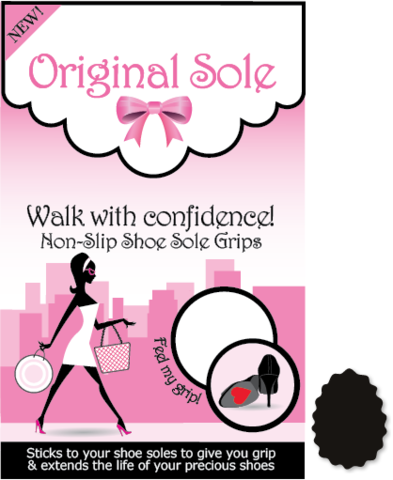 Looks great when walking or sitting and others can see the cute red hearts on your soles. Heel Huggers the Worlds First "MUST HAVE" shoe accessory! Invisible High Heel Protection!